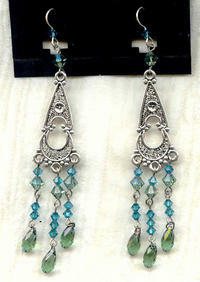 The crystal briolette drops and matching beads are a lovely misty green. I've also used a beautiful teal for a contrast that's both subtle and understated. The long pewter stations have a floral motif reminiscent of the art nouveau era. 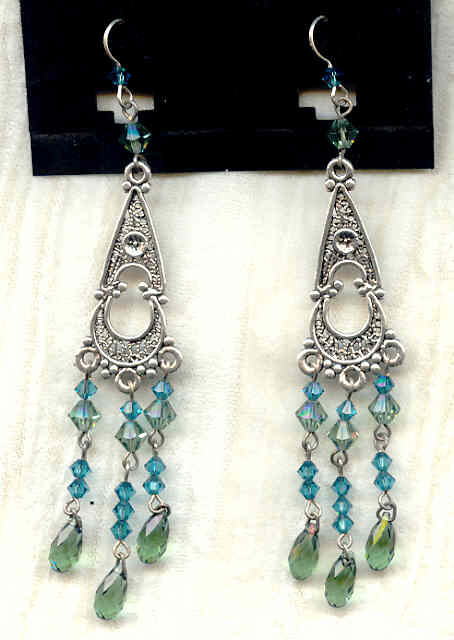 The earrings dangle about 4-3/8 inches from the tops of their sterling silver French hooks. 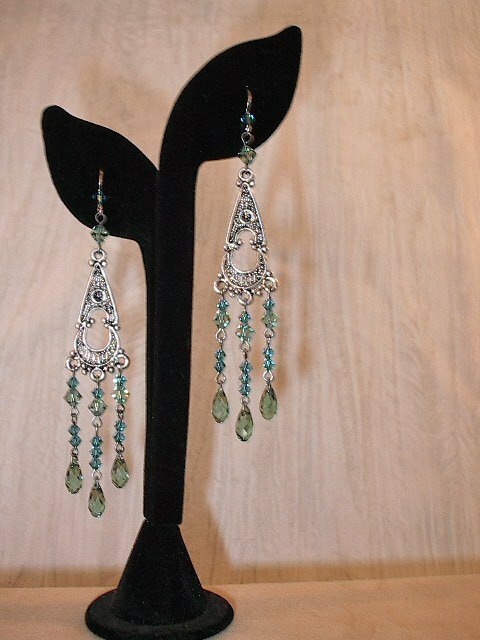 They are absolutely stunning ... and they're from SPARKLE PLENTY. Feel like a lady of legend in this hand beaded crystal necklace.